Did someone say hummus? 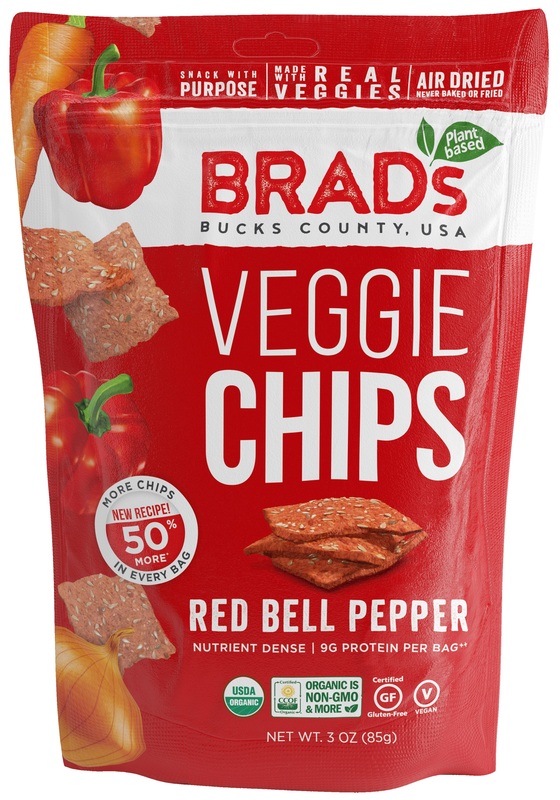 Make sure we get an invite to the party, especially if you’re bringing Brad’s Red Bell Pepper Veggie Chips. Everyone can join in on the fun. Add color to your plate, and we’re not talking food coloring. Picture our batch of fresh red peppers, firm and ready to become your party savor with the flavor. Saves you the time of cutting the peppers yourself, and you still get to benefit from their body-restorative Vitamin C just incase you party a little too much. What’s on your table? Snack with Brad’s. Snack with Purpose. 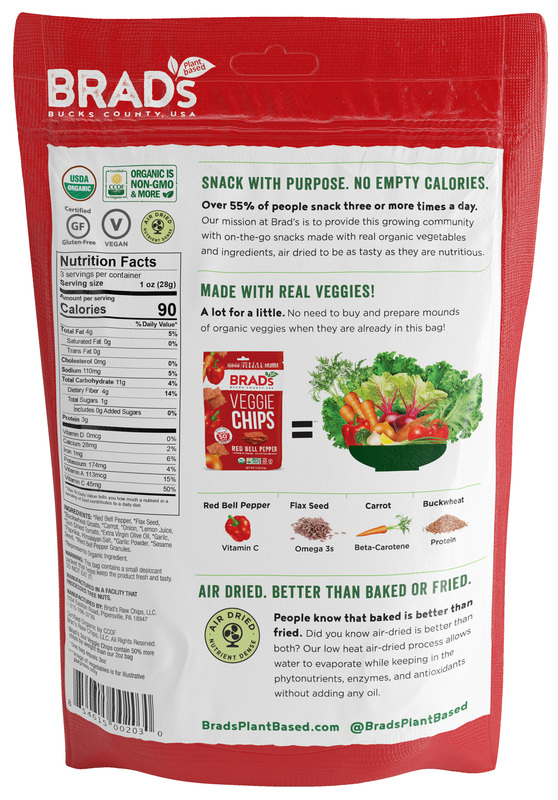 Ingredients: Red Bell Pepper, Carrot, Flax Seed, Buckwheat Groats, Carrot, Onion, Lemon Juice, Sun Dried Tomato, Extra Virgin Olive Oil, Garlic, Paprika, Himalayan Salt, Garlic Powder, Sesame Seed, Red Bell Pepper Granules.